What is the AAAS IF/THEN Ambassador Program? What will AAAS IF/THEN Ambassadors do? 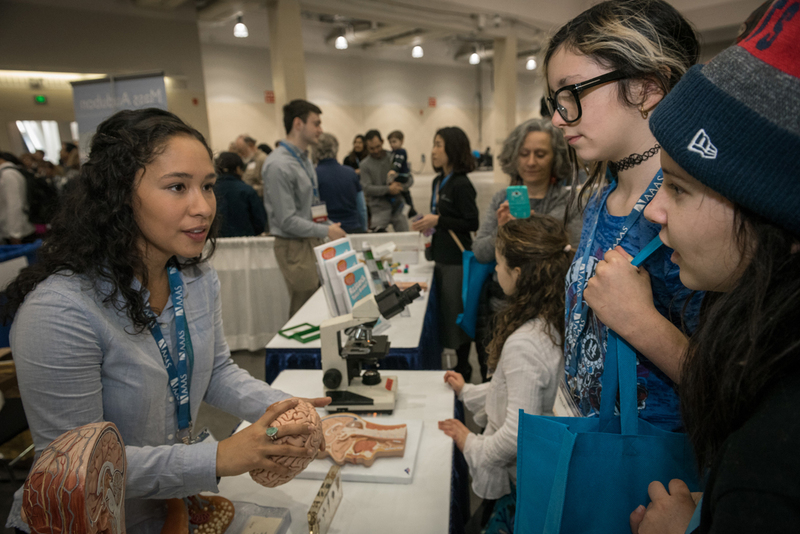 The program provides AAAS IF/THEN Ambassadors with a national platform to tell their stories and inspire the next generation of STEM pioneers. As high-profile role models, AAAS IF/THEN Ambassadors will share stories of their STEM journeys and the many ways in which they use science, technology, engineering, and math to solve problems and create new possibilities for the future. An in-person summit that will empower AAAS IF/THEN Ambassadors take their outreach to the next level (the week of October 21-25, 2019). The summit will include personal press kit development (photo shoots and videography), as well as coaching and support from specialists in science communication, public engagement, media, diversity and inclusion, and STEM education. Inspirational VIP guests will also participate in the summit. Online engagement with each other and with a wider network of experts that will build on the in-person summit, strengthening AAAS IF/THEN Ambassadors’ skills and supporting development of a community of dynamic women in STEM careers. Events celebrating and sharing the work of AAAS IF/THEN Ambassadors. Original media content featuring women STEM professionals that will reach girls where they access content the most: on YouTube through partnerships with popular channels like GoldieBlox; on cable television shows; and on network television through a weekly series highlighting the STEM behind popular culture. In addition, the National Girls Collaborative Project will host a digital asset library that will provide access to photos and videos of AAAS IF/THEN Ambassador for nonprofit and educational use. Direct connections with middle school girls in their classrooms, in informal science education settings such as AAAS’s Family Science Days, museum exhibits about women in STEM professions, Girl Scouts of the USA programs, and on virtual platforms that allow AAAS IF/THEN Ambassadors to have conversations with girls from across the United States. How do I apply to be a AAAS IF/THEN Ambassador? The AAAS IF/THEN Ambassadors program is supported by IF/THEN, an initiative of Lyda Hill Philanthropies. Applications will be accepted April 1 - July 21, 2019. If you have questions about the program, please contact public_engagement@aaas.org.